People living in the modern cities and newly designed homes, inevitably needs stronger and better air conditioning systems, as most of these homes are not designed, keeping ventilation and temperature control in mind. As the cities started to expand, the floor space for your homes started to shrink, along with the ventilation options like windows and open balconies. This shortcoming for new homes and apartments was countered by the introduction of stronger and better air conditioning. Now, all you have to do is buy any house of your choice and then have the right air conditioning installation done, and you can reap all the benefits. However, there are a few things you need to remember while planning your air conditioning installation. 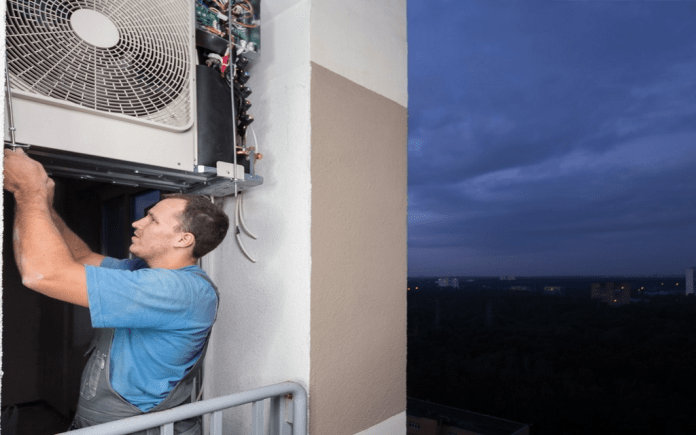 With just a little training, you can follow a few simple instructions, and either install your own air conditioning system, or at the very least inspect, that it has been installed properly, and to your specifications. All you will need is a little knowledge of electric circuits and plumbing. Though, you need to remember that air conditioning installation may differ from brand to brand and from type to type. First step is to install the indoor unit of your air conditioning system. It is advised that you try to avoid direct sunlight or places that may receive heat emitted from any other device. And as a general precaution, you should ensure that your unit is not too near to a gas line or oil vapors zone. Then you need to get the mounting plates secured, they will hold the indoor unit, so you need to ensure they can hold the weight and support the unit properly. If you are installing split air conditioning system, then you will need a few additional steps, like drilling a hole in the wall, that can be used for the piping, as this kind of air conditioners come with two units, one is installed inside the room, connected with the other via piping system. One of the things, you need to keep in mind while drilling the hole, is its distance from the outside unit. As the length of the pipe has to be taken into account. Once the drilling and mounting part is over, you have to move to the electrical part. As we discussed earlier, most of the units are unique, and so is the electrical circuits. You need to connect the wires exactly the way the instructions say. In some cases, the wires could be pre-connected. Once the wiring is checked and installed, next step is to add the piping. A small precaution while installing piping is to ensure, there is minimum bending, as it can impede the free flow of the processed air. It is also advised, that you wrap the piping and the electrical wires together with proper insulation. It will help in managing the wiring and piping and give them additional strength. Once all these steps are taken care of, you are ready to place your indoor unit on the mounting plates, which we installed in the second step. It is important we complete all these steps before moving to actual unit, to ensure that the main unit is not damaged during the installation process. You can just switch on your newly installed air conditioning and enjoy the cool fresh air, adjust the temperature to your liking and forget all about too hot or too cold weather conditions. We recommend that the installation must be done by qualified technicians only as the longevity of the AC depends on the correct installation. An incorrectly installed AC will continue to be faulty.